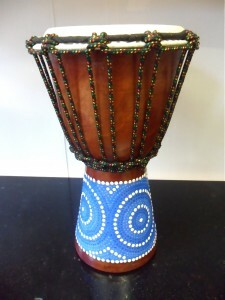 A Small 30cm Djembe for beginners, with a great tone. Each drum has bright ,funky paintwork, coming in a variety of colours. A Small 30cm Djembe for beginners, with a great tone. Each drum has bright ,funky paintwork, coming in a variety of colours.